5. 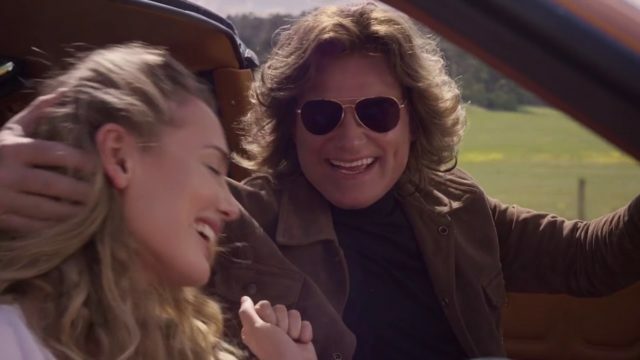 Rubberband Man – When it comes to the MCU – or any movie, for that matter – it’s hard to find something that can compete with the toe-tapping tunes that go along with everybody’s favorite cosmic Avengers. Maybe it’s the era of music that they’re pulling from, maybe it’s the unerringly perfect use they find for every track that makes it into the movies, but every one of them is a case study in how to use music in a major motion picture. Although it’s not from one of the first two volumes, the fact that the Guardians appear in Infinity War, not to mention play such a major role in the proceeding action, makes this technicality more than hold up in my mind. And of all the music from all of their movies, this Detroit Spinner’s ditty, like the Guardians themselves, is the most surprising. And yet, having now seen the team casually mouth along with the lyrics, I can’t think of a better way to introduce them into any story. This off-beat, idiosyncratic number perfectly captures their off-kilter chemistry and laid-back attitude toward pretty much everything in the galaxy (up to and including the Infinity Stones). 4. 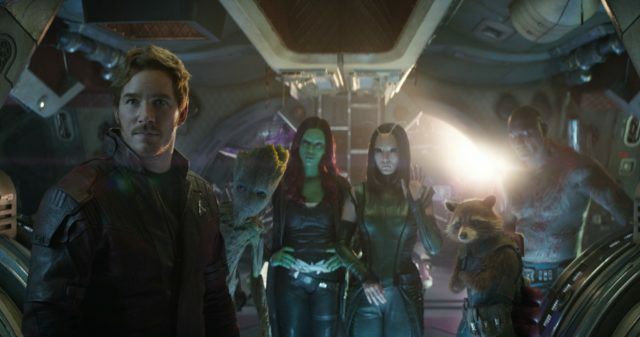 Brandy (You’re a Fine Girl) – Although director James Gunn always kept the tone light and the action flowing, the storyline of Guardians of the Galaxy Vol. 2 is brutally dark. It not only has Peter wrestle with his strained feelings toward his caring (but frequently abusing) kidnapper / father Yondu, but with the fact that the most devastating moment in his life – watching his mother slowly waste away from an inoperable brain tumor – was the fault of Ego the Living Planet, his absentee biological father, who only came back into his life so that he could kill him and harvest his half-Celestial biology for his galaxy-spanning ambitions. Underscoring these sinister machinations, however, is seemingly innocuous song: a catchy, upbeat number about a womanizing sailor incapable (or simply unwilling) to commit to the woman who loves him. The sailor’s plight perfectly capture’s Ego’s own struggle between his life’s masterwork and his fleeting love for the Human girl “who knew all the words to every song that came over the radio.” He even gives a line-by-line breakdown for the song that foreshadows his later revelations long before they manifest in the film’s runtime, made all the more sinister for just how infectiously catchy the song is. 3. Father and Son – Another entry from Vol. 2, this Cat Stevens song came at the tail end of the film: after all the fights, all the explosions and after Yondu’s heartrending sacrifice to save Peter’s life. And after laying Yondu to rest, after weakly trying to process his complicated feelings for his two fathers, he retreats to the sanctity of his room and begins going over the last gift he’d ever receive from him: a Microsoft Zune with a whole library full of Earth’s greatest songs on it. Then, rotating through the options, he chooses this. Intended to be a central sequence in an unproduced musical about the Russian Revolution, it tells the story of a father and son who simply cannot bring themselves to see eye to eye about the coming conflict. It’s a tender, moving moment in the film that perfectly captures the love-hate relationship that Peter had always had with his adopted father. And when it crescendos into Yondu’s surprise Ravager funeral, it provides a much-needed catharsis for a movie that proved to be far heavier than it was advertised to movie-goers as. 2. Come and Get Your Love – This song will always hold a special place in my heart. Not only is it one of the songs that my wife and I made sure to play during out wedding reception, but instant that this Redbone song started up during Guardians of the Galaxy’s opening credits was the exact moment that I knew that this movie was going to be something special. Sure, anybody who had seen the trailers could tell that this was going to be a different sort of superhero movie. From a well-timed Hooked on a Feeling cue to the glib dialog to just how crazy everything looked on its surface, this wasn’t going to be another Captain America or even Iron Man. 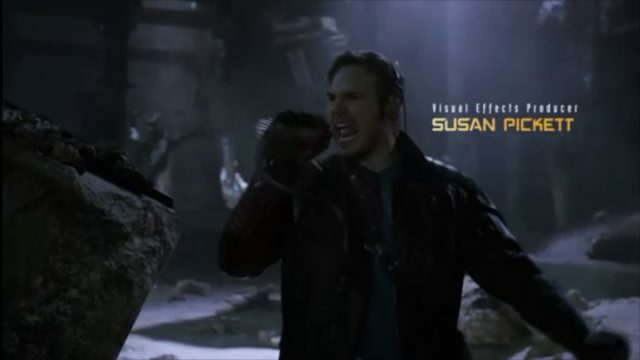 But watching Star-Lord dance and kick his way through the space-rat infested catacombs that housed the Power Stone – grabbing one of the vermin mid-air to use it as an improvised microphone – was an experience all to itself. It set the tone for the rest of the movies – rest of the franchise, really – and the rest is history. 1 . The Chain – One of the many astonishing things about these movies, in addition to just how excellent and fiercely eccentric they have proven to be, is how director James Gunn seems to unerringly know exactly what song to put into each and every scene. It doesn’t matter if its an irreverent beginning, emotional release during the denouement or jailbreak action sequence, every one of them has hit the mark. So calling any one of these the best of the bunch, especially one that isn’t their trademark song from all of the trailers, is a feet in and of itself, yet Fleetwood Mac’s The Chain stands head and shoulders above all of the competition. The Chain is soundtrack used as character development: a perfect and earned shorthand for the narrative pivot that Peter does in the moments he discovers not only that Ego killed his mother, but that his less-than-perfect surrogate Yondu, regardless of everything else he had done to him as a child, genuinely cares for him. Not only does the song uncannily capture that momentous shift in Peter’s persona, but the fight scene that follows is awe-strikingly choreographed to the song’s powerful, driving baseline: making it Vol.. 2’s secret one-two punch in a fight scene so grandiose that it risked getting lost in its own immensity.